Call Us Now to Buy/Sell/Manage a Property! Real Estate Agents in San Diego & the Surrounding Areas! List Your Home for Easy Sale, Call Us! 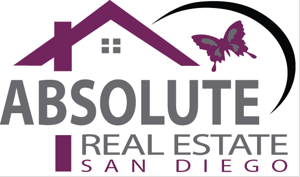 Absolute Real Estate San Diego offers the highest level of expertise available to help you in home sales or purchase. We have an excellent track record in the real estate market. We provide all types of real estate services for our customers, including residential, commercial, investments, 1031 exchange & property management. Buying a home can be a tedious process. At Absolute Real Estate San Diego, we have a huge inventory of listings so that you can find a property that best suits your budget and lifestyle. Whatever your real estate needs may be, our real estate brokers will guide you through every step of the process. Call Absolute Real Estate San Diego at (619) 621-8386. Call Our Real Estate Broker Now! Copyright © 2018 absoluterealestatesd.net All rights reserved.